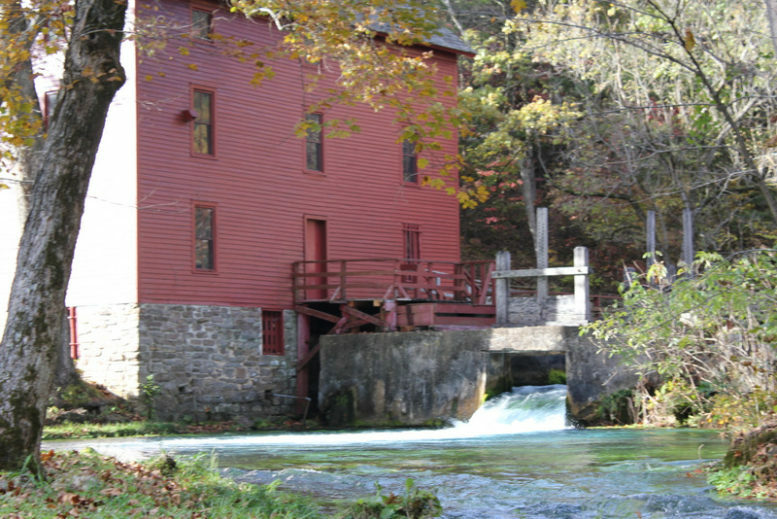 Some folks claim that Alley Spring Mill is the most photographed spot in Mis souri. 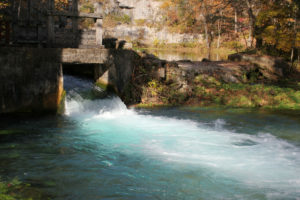 The two story gristmill sits astride this emerging underground discharge of 81 million gallons per day, where Alley Spring Branch flows a half mile to add its 58-degree liquid benefit to the Jacks Fork River. Painted barn red, this 1894 mill peeks into the past, when it was a gathering place in this wilderness. Nearby, Branson Cave is one of Missouri’s most biologically diverse caves.